Iannis Xenakis (??????? ?????? ???????) (May 29, 1922 ? February 4, 2001) was a Greek composer, music theorist and architect. He is commonly recognized as one of the most important post-war avant-garde composers. 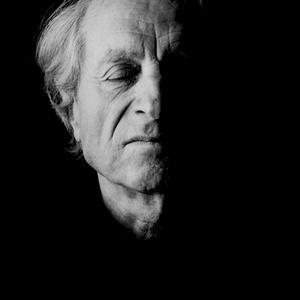 Xenakis pioneered the use of mathematical models such as applications of set theory, varied use of stochastic processes, game theory, etc., in music, and was also an important influence on the development of electronic music. Xenakis was born in Braila, Romania. In 1932 his family returned to Greece, and he was educated on Spetsai and at the Athens Polytechnic, where he studied engineering. In 1947 he arrived in Paris, where he became a member of Le Corbusier's architectural team, producing his first musical work, Metastasis, only in 1954, based on the design for the surfaces of the Philips pavilion to be built for the Brussels Exposition of 1958. This, with its divided strings and mass effects, had an enormous influence; but in ensuing works he moved on to find mathematical and computer means of handling large numbers of events, drawing on (for example) Gaussian distribution (ST/10, Atr?es), Markovian chains (Analogiques) and game theory (Duel, Strat?gie). Other interests were in electronic music (Bohor, 1962), ancient Greek drama (used in several settings) and instrumental virtuosity (Herma for piano, 1964; Nomos alpha for cello, 1966). His later output, chiefly of orchestral and instrumental pieces, is large, many works from the mid-1970s onwards striking back from modernist complexity to ostinatos and modes suggestive of folk music.